Insulin pump therapy is specifically for patients with type 1 diabetes – an autoimmune disease. This life-changing therapy can help patients regain their quality of life by eliminating the need for multiple daily injections. Insulin pump therapy only requires the insertion of a tiny canula every three days, which patients can do themselves at home. Resized Melbourne EasternInsulin pump therapy gives people with type 1 diabetes the freedom to eat and exercise whenever they want. It makes blood glucose control easier, thus reducing the risk of complications such as blindness, limb amputation, or even low blood sugar, which can be a debilitating side effect of insulin. Some people suffer this side effect daily, and if low blood sugar is left untreated it can be fatal. Out of 120,000 people living in Australia with type 1 diabetes, only 10 per cent of those have an insulin pump – despite studies showing that insulin pump therapy is the superior method of control. The Melbourne Eastern Private Hospital is making insulin pump therapy easier to access for people living with type 1 diabetes and relieving the public hospital waiting lists, which can be up to 18 months. 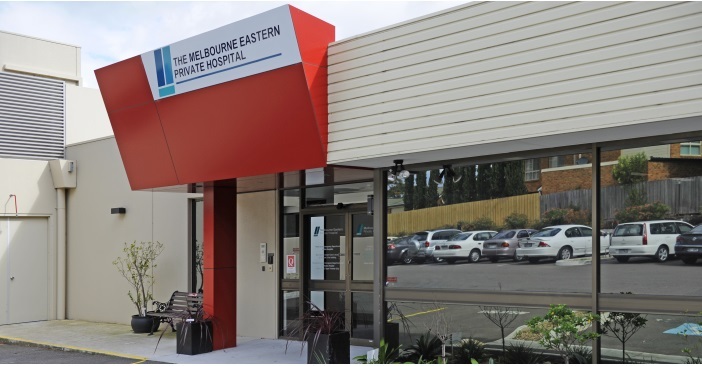 The Melbourne Eastern Private Hospital has the facilities available to admit patients immediately under the guidance of their endocrinologist. Specialist endocrinologists and diabetes educators see about 60 per cent of type 1 diabetes patients. The hospital wants to improve that statistic, so that every patient with type 1 diabetes will have the opportunity to make an educated decision about commencing insulin pump therapy. Currently, type 1 patients have to see a specialist endocrinologist and diabetes educator to be prescribed insulin pump therapy and to receive education. If local general practitioners are not aware of the pumps they may not be inclined to send their patients to a specialist and patients will be denied the right to a better quality of life. The Melbourne Eastern Private Hospital is raising awareness with local general practitioners about the benefits of insulin pumps by holding educational meetings with local doctors and its specialist endocrinologist and diabetes educator. General practitioners have been keenly interested in the insulin pumps and the hospital has already seen an increase in referrals for insulin pump patients. This is an exciting time for the type 1 community as insulin pump therapy becomes more accessible and patients with type 1 diabetes achieve their life goals with better glucose control.